Discussion in 'Feedback' started by Phillip, Jan 28, 2017. Happy birthday! 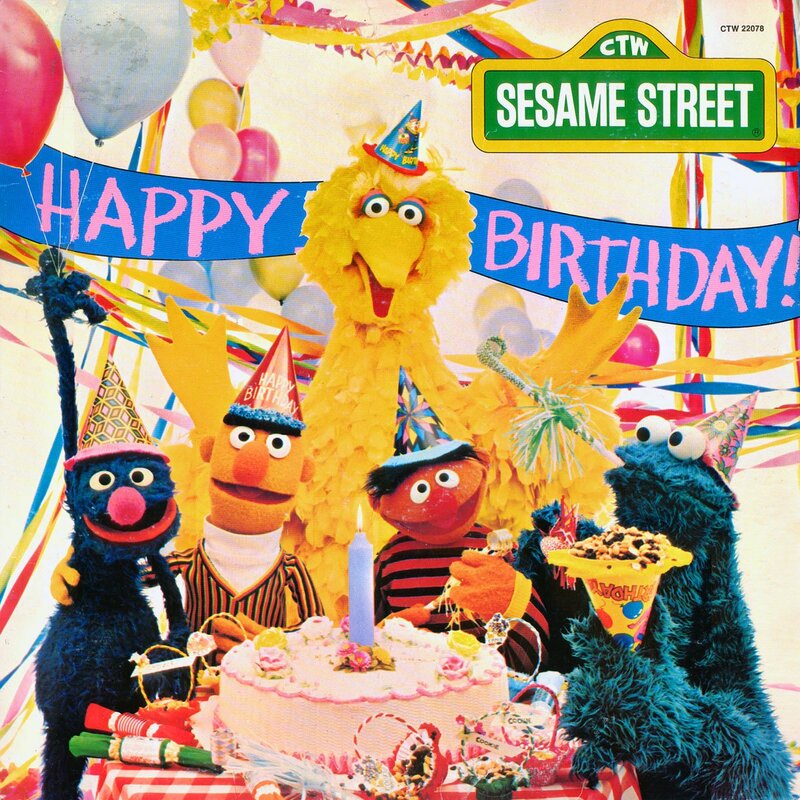 Muppet Central is now 19 years old. The site debuted 19 years ago on January 28, 1998. (1) What do you think the future holds for the Muppets especially with the Electric Mayhem's rise in 2016 and the cancellation of the Muppets ABC series? On February 17, it will have been 13 years since Disney bought the Muppet characters so they aren't the new property anymore, especially with money makers like Star Wars and Marvel now in the family. (2) What would you like to see Sesame Street produce or release in 2017? What do you think of the HBO deal so far? 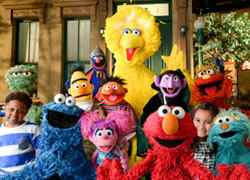 Sesame Street continues to rebound with the departures of beloved veterans. The good news of the HBO deal is that we are guaranteed a 50th season which might not have happened if the show stayed solely on PBS. (3) What are your hopes for new productions from The Jim Henson Company in 2017? With a new Labyrinth project in the works, the debut of Splash and Bubbles on PBS and the return of Fraggle Rock in HD, the Henson Company appears poised for a breakthrough in the years to come. Will it happen? We're still waiting for the Fraggle Rock movie that's been in development for years. (4) What's one area that you'd like to see Muppet Central focus on or debut in the year to come? Let us know what you'd like to see from us in 2017. MUPPETFAN1976, MikaelaMuppet and MuppetsRule like this. Happy birthday! Man, nineteen years is a long time to be around on the internet, especially in this day and age where people slowly start to disappear and lack of interest causes a site to close down. Glad it hasn't happened here yet! Happy birthday to this wonderful forum and website, it's where I first really got involved as a forum member, learning the do's and dont's of interacting with such a crowd of fans as well as forming friendships with most of the gang that came in as new members back in 2002. 1 I'd love and hope a third feature film gets produced to complete the trifecta. We're going to get two new Star Wars movies to complete the three trilogies what with Episode VIII: The Last Jedi rolleyes and Episode IX, why can't we get the same treatment for the Muppets? Original Jim Trilogy: The Muppet Movie, The Great Muppet Caper, The Muppets Take Manhattan. Intermediary Transition Trilogy: The Muppet Christmas Carroll, Muppet Treasure Island, Muppets From Space. Modern Disney/Muppet Studios Trilogy: The Muppets (2011), Muppets Most Wanted, and hopefully a ninth cinematic release. 2 As for Sesame Street... I'd have to say a DVD release for Old School Volume 4 with the premieres of Seasons 16-20, that'd get us to the Sesame Street Unpaved era, and maybe a special Old School DVD with the five episode arc of the Hawaii vacation, Camp Echo Rock, but mostly the wedding of Luis and Maria. 3 For other JHC productions... Not sure, but it looks like Archaea is doing good work with its ongoing StorytTeller series. Obviously, if a member's requirements change in the negative, the custom title option would be disabled and revert back to the "New/Active/Well-Known Member" title. This would also help give the warning point system actually worth at the same time. Phillip, MikaelaMuppet and dwayne1115 like this. Happy Birthday MC! Been a member for about a year and a half, been reading the forum for almost 10 years now, and I still love this place. Well, for the first one, i'd really love to see a special about The Electric Mayhem. Maybe their origins, that'd be cool. It would be fantastic to finally see the band in the limelight, and hopefully they'll do more concerts this year as well. (2) Well, besides new episodes, I don't really have any preference. I just really hope we get a great anniversary special in 2019 (along with that rumored movie). (3)Hmm, not really sure what to say about the JHC. I'd certainly love for them to make a comeback and finally come through with some major projects, but I don't see that happening any time soon. But you never know! (4) Can't think of anything in particular that needs changing. 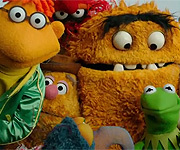 Luckily, despite it's past failures, the Muppets are still loved by many people, for some reason I get the feeling we may see another Muppet movie sometime around the year 2020, seems like a good time. I'd love for them to finally release the 16th season premiere, since it's the only season premiere that hasn't been released in recent years. Other than that, there are hundreds of episodes still waiting to be re-released, hopefully we see some more rare ones soon. Another useful update for the forums would be if all the known spambots could be purged from the system. If you check the "Today's Birthdays" section there's about a full score of them listed. I am so glad I found this place. I would have never have gotten to meet so many Muppet fans just by going to functions. (which I never do see anyone I know from the forums but also I'm not angry I'll sooner or later meet some one from here) but I'm am so glad. It made me feel cool and wanted. Also another thing would have been that I like it here so much is that I would have never so many people who do trades. I would have never thought in my whole life I would ever get to see Classic Sesame Street Shows, Appearances and clips from just about anything. So Thanks to You Muppet Central for helping with my Collection but to really thank Phil for coming up with this web site for so many Muppet Fans from just any where in the world. Thank You Very Much Phil!! !